Purchase this product now and earn 21 Points! 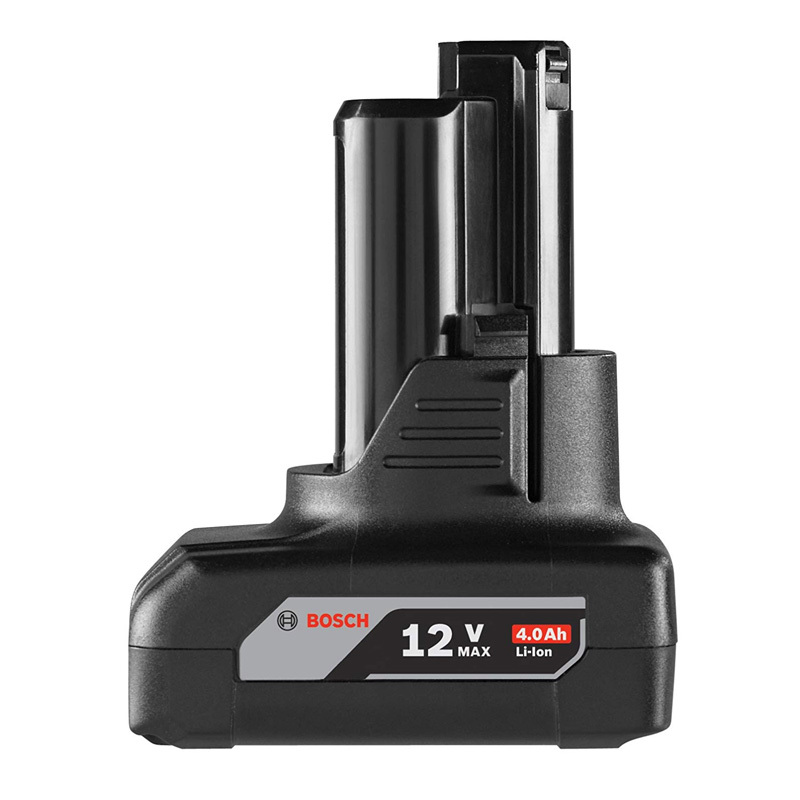 Bosch 12-volt MAX BAT420 combines Bosch’s best-in-class engineering with optimal performance. Each compact robust cell packs in more energy than ever before with increased efficiency for even longer tool run times. The slim and compact design is the smallest and lightest battery pack with 4.0Ah in the market, making it the perfect battery option for working overhead. The BAT420 battery features advanced Bosch engineering to deliver unparalleled quality, reliability, and jobsite tough durability. 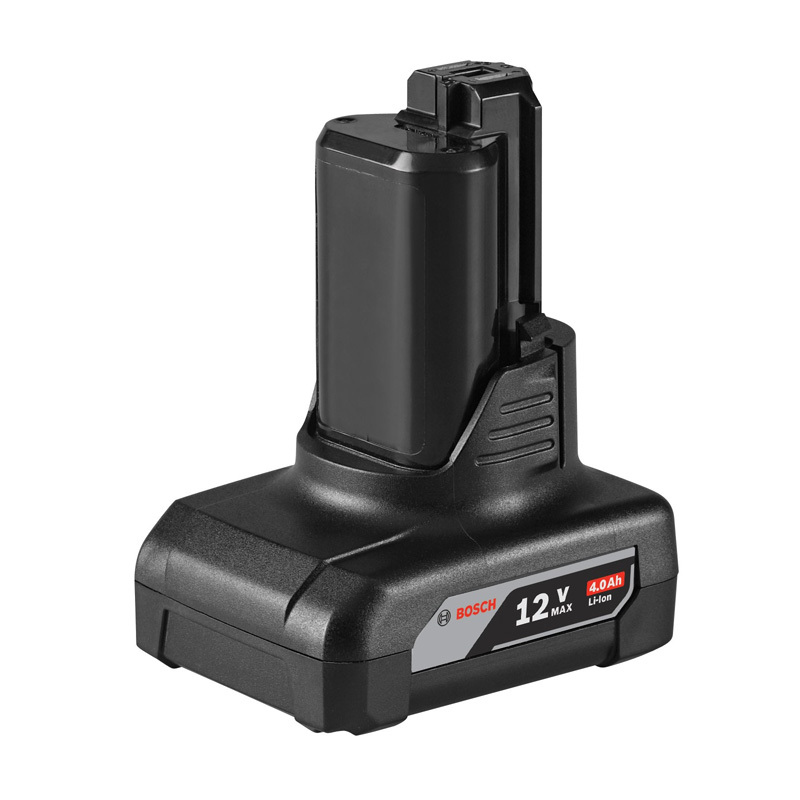 This Bosch 12V MAX battery includes Electronic Cell Protection (ECP). Electronic Cell Protection guards against overheating and overloading. With advanced pack design and cell chemistry, Bosch battery packs not only cool faster while you work, but also work in the most frigid temperatures – down to -4° F.
The BAT420 12-volt MAX 4.0 Ah battery offers up to 100% more run-time compared to the existing 2.0 Ah. Bosch’s battery pack design protects the battery and tool resulting in optimal battery life and performance for the user. Bosch’s BAT420 is compatible with all Bosch 12V MAX lithium-ion tools and chargers making it extremely easy and convenient to use across various tools. 3eddah.com use several methods for delivery of orders getting tools safely to our customer at the earliest opportunity. You will receive a shipping confirmation e-mail once your order has shipped. The e-mail will provide your tracking number and link to the shipping carrier’s tracking page. Prior to shipping, you can track the progress of your order using our Online Tracking Utility. Upon shipment this utility will display your tracking information, and you will also be sent an e-mail containing tracking information, If your order cannot be shipped due to backorder, you will be notified via email. For professionals, our tools shop offers an expanded assortment of tools with thousands of products available. HEY YOU, SIGN UP AND CONNECT TO 3EDDAH.COM!